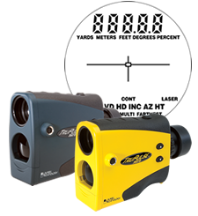 Lightweight, low-cost laser rangefinder that measures Slope Distance, Inclination (% Slope) and Azimuth. Calculates Horizontal Distance, Vertical Distance, Height and Missing Line values. 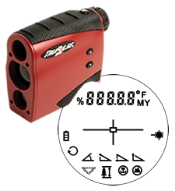 Equipped with 7x optics, in-scope data display and a serial port. 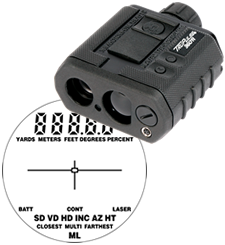 Whether you need to collect multiple data measurements from a single spot, measure partially obscured targets or quickly compile accurate inventory data, the TruPulse 200 is the tool for your distance and height measurement needs.